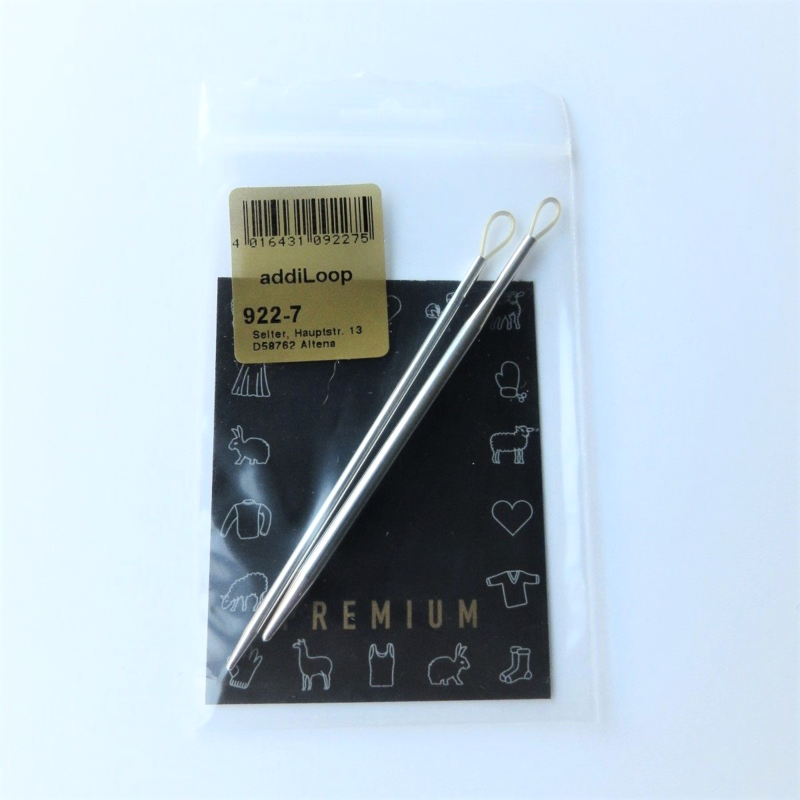 The addiLoop is a needle for sewing up with thicker wool. addiLoop has the typical super smooth white bronze finish that you expect from ADDI and a flexible loop at the end instead of an eye. 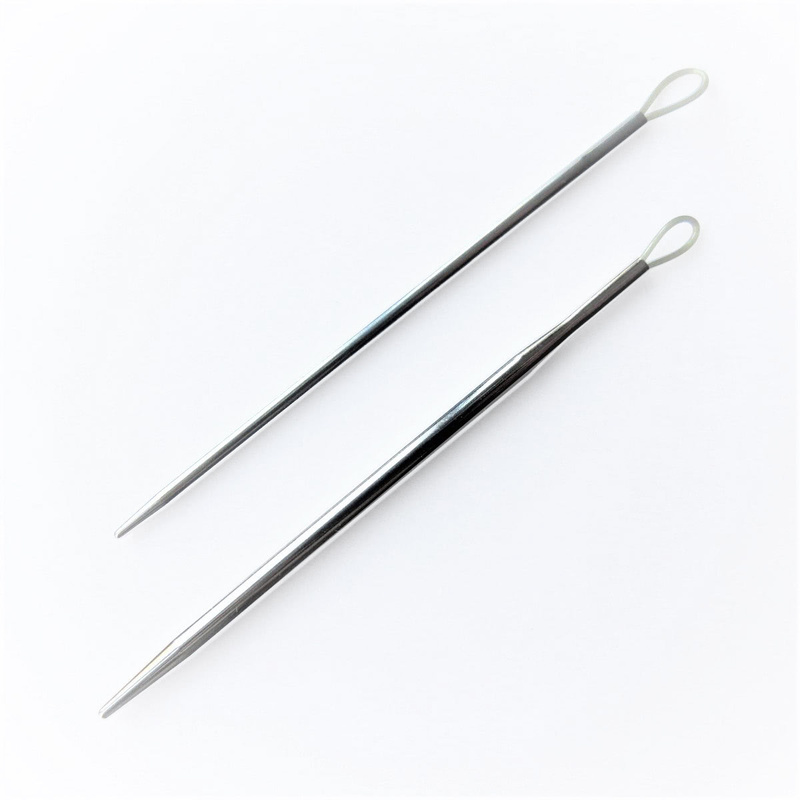 Set of 2 - in knitting needle sizes 2.5 mm and 3.75 mm, making them suitable for use with different weights of yarn. Intended for sewing up woollen garments, the loop enables a thicker yarn to pass through the knitted fabric with ease. Sewing needles for use with wool or yarn, for finishing knitted garments. These are handy for sewing with thick yarns as they have a nylon loop for you to thread the yarn through, instead of an eye. This makes the needle less bulky when passing through the fabric of the garment, so it is altogether easier to sew. Useful for making up, sewing seams, darning and sewing in ends.